The government of Turkmenistan has been urged to "immediately respond" to the United Nations and the family of Boris Shikhmuradov about the fate of the former foreign minister and first deputy prime minister. 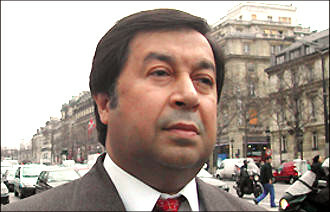 Boris Shikhmuradov was sentenced to life imprisonment on December 30, 2002 for his alleged involvement in the assassination attempt of the then President Saparmurat Niyazov. Since then, neither the family nor the lawyers have received any information about Boris Shikhmuradov, who has allegedly disappeared. International human rights campaign "Prove They Are Alive!" has demanded that the Turkmenistan government provide information on his whereabouts. His wife, Tatyana, had complained to the U.N. Human Rights Committee in 2011 hoping that the international body would at least be able to influence official Ashgabat, and the family will be able to get information about Boris Shikhmuradov. The Committee added that the government of Turkmenistan is obligated to provide a remedy for Boris Shikhmuradov, including, “by immediately releasing him and granting him a just compensation, or, in the event that he has died, by giving Shikhmuradov’s remains to his family, and that the family should be compensated." Official procedures directed Ashgabat to respond before November 9, 2015. However, there was no answer, reaction or comment. “I am very grateful for the campaign ‘Prove They Are Alive!’ They are doing a great job, not letting people forget about those who have disappeared in Turkmenistan. They have a lot of personal meetings with diplomats and international officials, and they recently released a book of poems by Batyr Berdyev, who disappeared in prison... But the problem is that Ashgabat is silent, and there are no more tools that can be used to make them answer. It is indeed so." Till date, the "Prove They Are Alive!" campaign has documented 112 cases of enforced disappearances in Turkmenistan, confirming deaths in custody in 23 cases. Since 2013, Moscow has also been considering a judicial complaint by Tatyana about the inaction of the Russian Foreign Ministry; when Boris Shikhmuradova was sentenced to life imprisonment, the Russian Foreign Ministry did nothing to ease his fate and did not help his family, although Shikhmuradov is a Russian citizen. "My complaint is still being considered," said Tatyana. "On November 30, there will be another appeal. Russian courts believe that my claims before the Foreign Ministry have no grounds; they say the Foreign Ministry has not been inactive. They also asked the Turkmen side, although they did not receive any answers from them. But there is no result! It is good that now they do not even say that Boris had no Russian citizenship: the migration service confirmed that at the time of the adoption of the law on the citizenship of the Russian Federation as he was a permanent resident of Moscow, that he did not apply for secession from citizenship... When we exhaust all avenues in Russia, then we will appeal to the European Court of Human Rights. In 2013, when I complained, I wrote letters to both Putin and Berdymukhamedov. It would not have been answered from Ashgabat anyway, but the Russian President's administration would have written that it sent my letter to the Foreign Ministry... It is a vicious cycle, and I do not write to them anymore, it's useless."